My son is a huge star wars fan so I was very excited to share the products with him for this review. I also got my 6 year old daughter involved too. They are always running around the house with their light sabers battling each other just about every other day. Sunstar GUM came out with some really cool products that help with good oral hygeine. I am all about healthy teeth and always am on my kids to take care of theirs. One way is brushing them regularly and trying to make it fun at the same time. 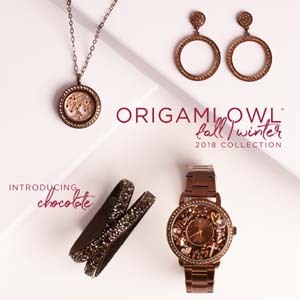 I knew these products would definately help to make it a fun learning experience. 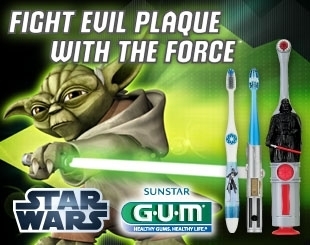 We received GUM® Star Wars™ Power Toothbrushes. ﻿We received both toothbrushes shown above. My son's favorite character is Darth Vader so I knew he would definately pick it and my daughter got Rex. I love that both of these have oscilating brushes. My kids are ages 8 and 6 and yes like any kid they don't like to brush their teeth. I try to make it as fun as possible but it is hard. We decided to have a battle between Darth Vader and Rex. Their battle would be who could battle the longest and defeat the most clone germs in the process. They had a blast doing it and would keep going till their arms wore out. I couldn't believe it. I love it. I also love that it has oscilating bristles. This helps to ensure me that their teeth are really getting clean. They also love the oscilating bristles. This is the first time they have ever had a toothbrush like this. I also like that it has a suction cup so they can stick it to the top of their bathroom countertop. Here is some info about the toothbrushes from the GUM website. 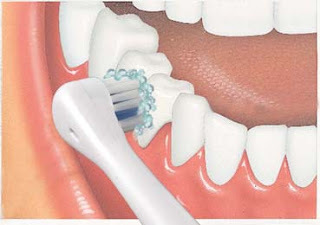 Soft oscillating bristles that massage gums. Built in suction cup to reduce counter clutter and keep the brush head clean. 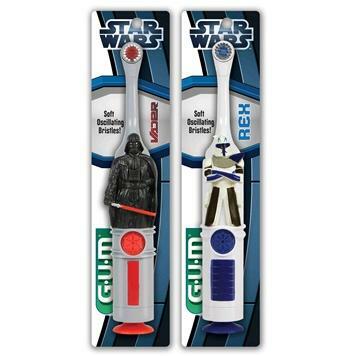 We also received GUM® Star Wars™ Lightsaber™ Toothbrushes. We received the red one which is Darth Vader and the green one which is Yoda. My son of course picked Darth Vader and my daughter choose Yoda. My kids really liked that each of these look just like a lightsaber and actually lightup too. We place the toothpaste on each brush and then turn the lights on and they begin to brush. I tell them that while they are brushes that they need to defeat the bad germs (which are the bad guys). The person then with the shiniest, cleanest teeth then win the battle. I have never seen them brush so good. They also have to brush until their light stops blinging or they are disqualified and have to start over. This has not happend at all since we started using them. Here is some info about the product from the GUM website. 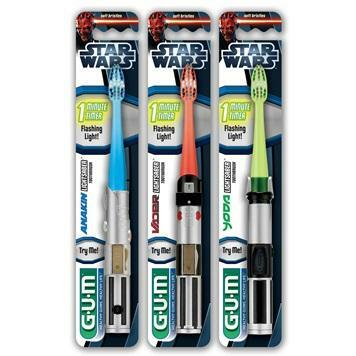 LED lights that illuminate the entire brush and flash for 60 seconds in colors specific to each character’s lightsaber: blue, green and red. Soft bristles with interdental cut to reach between teeth. Sold in packages of one toothbrush. I highly recommend you visit their site. 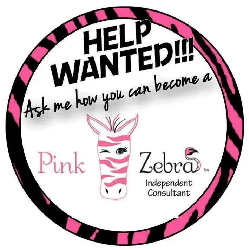 They offer a huge varitey of products. Please comment on one thing you liked about our review. They have also been kind enough to offer a giveaway. Look below for the Rafflecopter form to enter.